ibiboGroup, a joint venture between Naspers, a South African media power house, and Chinese internet company Tencent, has acquired Pilani Soft Labs, which has redBus.in as its flagship platform. The company did not disclose the size of the acquisition but industry sources estimated it at slightly over $100 million (about Rs 600 crore). Pilani Soft Labs was founded in 2006 by three BITS Pilani graduates - Phanindra Sama, Charan Padmaraju and Sudhakar Pasupunuri. redBus.in, the company's flagship product today, has grown to become one of the largest bus ticketing platforms, issuing a little over 12 million tickets annually, with around 600 staffers. In 2011, Pilani had raised $6.5 million in a series-C round of funding from Helion Venture Partners, SeedFund and Inventus Capital Partners. 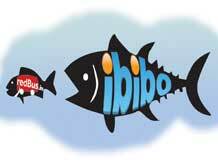 As per ibiboGroup, the acquisition of redBus will help it to expand and diversify its existing travel assets such as Goibibo.com (online travel aggregators) and TravelBoutiqueOnline (a business-to-business online travel platform for agents). The combined volumes of redBus.in and ibiboGroup's existing travel assets would make the group one of the biggest online travel companies in India. "This acquisition catapults us to become a stronger online travel player in India," said Ashish Kashyap, chief executive of ibiboGroup. After the acquisition, redBus will continue to run it as an independent operation, he added. "We are excited to be a part of ibiboGroup. Naspers' strong belief in the internet industry and operating experience in multiple countries will help redBus grow into a renowned brand in the coming years," said Phanindra Sama, co-founder and chief executive of redBus.in. Apart from, redBus.in, the other products of Pilani, including BOSS, a cloud-based enterprise resource planning software for bus operators and SeatSeller, an inventory distribution platform for agents, will also become part of ibiboGroup. Avendus Capital was advisor to both sides for this transaction.